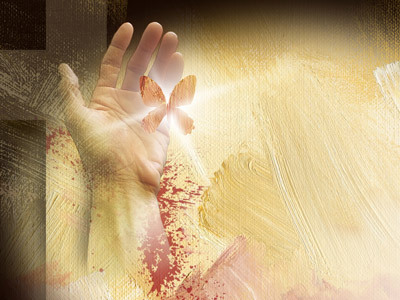 In the history of salvation we see God calling Abraham to found a new people. He called Moses to free Israel from Egyptian hands. He called the prophets to be the heralds of truth and witnesses of his will. He called Mary to be the Mother of the Saviour. During his earthly mission Jesus of Nazareth called and appointed certain men "to be with him, and to be sent out to preach" (Mk. 3:14). During his public ministry and most fully after his death and resurrection, he had conferred on Peter and the twelve special powers with regard to the future community and the evangelization of all peoples. He conferred upon the Apostles the same authority which he had received from the Father: "All authority in heaven and on earth has been given to me. Go therefore and make disciples of all nations, baptizing them in the name of the Father and of the Son and of the Holy Spirit, teaching them to observe all that I have commanded you; and lo, I am with you always, to the close of the age" (Mt. 28:18-20). From this and other instructions of the Lord it is evident that the mission of the apostles is the same mission of Jesus (Cf. Lk. 10:16; Jn. 15:5). Pope John Paul II in his apostolic exhortation Pastores Dabo Vobis says that “In their turn, the Apostles, appointed by the Lord, progressively carried out their mission by calling, in various but complementary ways, other men as bishops, as priests and as deacons, in order to fulfill the command of the Risen Jesus who sent them forth to all people in every age” (15). The Holy Father further says that “priests exist and act in order to proclaim the Gospel to the world and to build up the Church in the name and person of Christ the Head and Shepherd”. The mission of Jesus was to glorify the Father and to save souls. In the same way as Christ, the priest must do everything to glorify God and to save souls through Christ, in Christ and with Christ. We aim at an integral formation of our seminarians and priests. We who are chosen to be the prolongation of the only Mediator between God and men should always remember the invitation of Christ to be perfect as the Heavenly Father is perfect. The Decree on Priestly Training of the Second Vatican Council exhorts us that through our spiritual exercises we should learn to live according to the Gospel ideal and be strengthened in faith, hope and charity. Through the different spiritual exercises we hope to acquire the spirit of prayer, learn to defend and strengthen our vocation, obtain an increase of other virtues and grow in the zeal to gain all people for Christ. Ongoing formation also means continuity. Gradual progress over a limited span of time is not enough, it must continue. It would be a grave error to think that a person reached the goal on the day of his ordination. Evangelical perfection and complete identification with Christ stand always before and above us as the ideal we strive for. On the day the candidate receives the sacrament of orders, God invites him to set out on the path once again. Modern pedagogy calls this ongoing formation. It means to be up to date in the complete living of his priestly vocation, continual growth in his friendship with Christ, his love for the Church, his pastoral zeal, his attitude of generous self-giving to others. Heralds Minor Seminary is the 1st institute of the society and the Mother House of Heralds of Good News, a Missionary Society of Priests. This house has a lot of special significance with regard to the life and the ministry of priests as we feel a family attachment to this house. Its foundation stone was laid on 12th December 1984 in Kurukuru by His. Ex. Most. Rev. 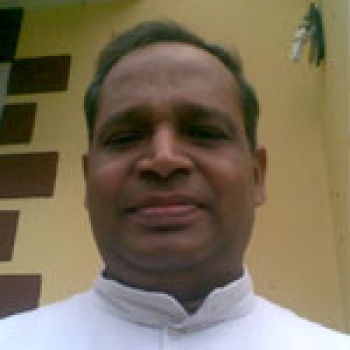 Dr. John Mulagada the bishop of Eluru, in the presents of Very. Rev. Dr. Jose Kaimalat the founder of the Missionary Society of Heralds of Good News and Rev. Fr. Thomas Alenchery, Rev. Dr. Mathew Kallikatt, Rev. Fr. K. V. Augustine, Bro. Thomas Karachira and Bro. Jose Oonukalell, the pioneer members of the society. This house also served as the minor seminary for many years under the efficient rector-ship of Rev. Fr. Thomas Alenchery, Rev. Fr. Varakukala George, Rev. Fr. Karachira Thomas, Rev. Fr. Puthiyaparambil Jose, Rev. Fr. Pullambrayil Baby, Rev. Fr. Kulathinapadikal Philip, Rev. Fr. Thomas Naidu, Rev. Fr. John Charles, Rev. Fr. Selva Nayakam, Rev. Fr. 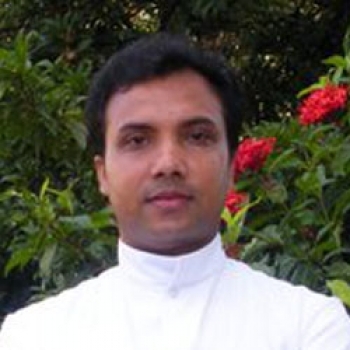 Mathew Kallikatt, forming and promoting many zelous, hard working and saintly missionaries. Today this house serves as Heralds Spiritual Orientation Center forming the seminarians to become true Heralds of the Gospel of Christ. So far there had been seven rectors, starting with Rev. Fr. Tomy Kuttiyanimattathil HGN, and Fr. 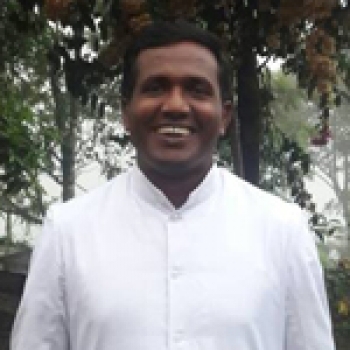 Mervin Varyankunnel HGN, Fr. Varghese Padayatty HGN, Fr. Reji Kanjirathumkunnel HGN, Fr. Selvan Lazar HGN, Fr. Thomas Olikunnel HGN respectively. Over 300 students have marched through this newly born institute. At present Fr. Paul Pynadath HGN is the Rector of this institute with four staff members and 54 students. The Minor Seminary forms the brothers in three different levels. In the first year the students get initiated to the seminary life undergoing a year of orientation. Then there are second and third years who do their intermediate studies, getting ready for the upper level of formation. The seminarians here are provided with a curriculum wherein they get spiritual, intellectual, human, and pastoral formation. This seminary is very much indebted to Very. Rev. 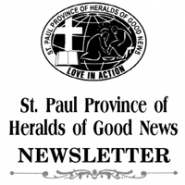 Dr. Jose Kaimlet HGN the Founder of our Society of Heralds of Good News, who continues to be an inspiration, and whose vision and hard work, motivates us to move forward witnessing to the Gospel of the Lord, proclaiming the Good News of Christ. We are always guided and enriched by the fatherly concern of his Excellency Most. Rev. Dr. George Njaralakkatt the Archbishop of Thalassery, Very. Rev. Fr. M. Ignatius the Superior General of HGN and Rev. 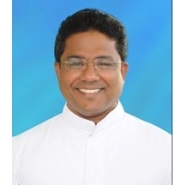 Dr. Saji Sebastian the Provincial Superior of St. Paul Province. Committed to the integral formation of the seminarians, the Seminary marches forward in its faithful service to God and His Church. 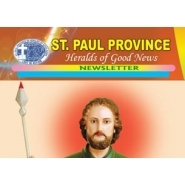 We express our heartfelt gratitude to god almighty for the providence and guidance that we experience at every interval, the founder and superiors of the missionary society of Heralds of Good News, the provincial and his councilors of St. Paul province for timely intervention and full support for the day to day running of the seminary. All our younger brothers who would like to join our missionary congregation with 10th and above academic qualification in proper family back ground and adequate Christian education are most welcome to this family of priests and seminarians. Let us humbly place ourselves at the feet of mother Mary the mother of priests and seminarians for her most powerful intercession for a holy life and formation. St. Joseph's Major Seminary is the major seminary of the Missionary Society of Heralds of Good News, doing its mission of imparting Theological and Philosophical erudition to its seminarians. It came into existence due to the ardent desire of the Society, to have its own Major seminary for the effective formation of its seminarians. Though the building was officially inaugurated only on 6th September 1996, it was established in June 1995 at Khammam with 31 students of philosophy and 3 staff members. The Department of Theology was introduced with the blessing and inauguration of the theology block on 22nd June 1998. Thus St. Joseph’s Major Seminary became a full-fledged Seminary within a brief period of time, proving its steady progress and growth. In order to make priestly formation more effective, fostering better interaction and closer relationship between staff and students, from June 2002 St. Joseph's Major Seminary was concentrating exclusively on the theological formation of the candidates to priesthood. From June 2015, the Institute now plays school also to the Philosophers. The existence of St. Joseph’s Major Seminary is a laudable landmark in the history of the Society of Heralds of Good News as it materializes the raison d’être of the Society, which is the formation of zealous and hardworking priests in order to be sent wherever their service is needed. The seminary is very much indebted to Very Rev. Dr. Jose Kaimlett, the Founder of Heralds of Good News, who continues to be its motivating force with his indefatigable endeavor and prophetic vision. We sincerely acknowledge the timely help and encouragement given by His Grace Most Rev. Dr. M. Joji, then Bishop of Khammam, in founding the Seminary in the diocese of Khammam. Besides the students of Heralds of Good News, the admission is open to the students from the local dioceses and the religious congregations in India. Today we have students from SDM, Diocese of Kurnool and Sisters of DSS and SAP. In conformity with the fundamental goal of the Society of Heralds of Good News and the concrete need of the Indian Church, the seminary structures its formation programme in such a way to offer to the future priests and missionaries of the third millennium, an integrated personal, spiritual, intellectual, and pastoral formation. The new Academic year 2015-16 was inaugurated on 04th July 2015 by Very Rev. Fr. M. Ignatius, the Superior General of Heralds of Good News in the presence of the Major Superiors of the Society and the staff and students of the institute. This present year, we have 43 Philosophers and 55 theologians guided by 14 staff members. We remember with gratitude the assistance, encouragement and support we receive from the different Bishops in Andhra Pradesh, especially from His Excellency Most Rev. 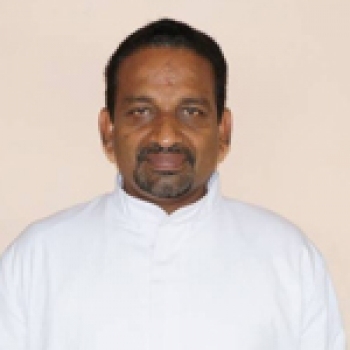 Dr. Paul Maipan, Bishop of Khammam. We also thank the clergy, religious and the faithful of the diocese of Khammam for the encouragement and the support we receive from them. We grow in reason and faith and march towards God. Ad Deum Fides et Ratione.